It's 3D Wednesday with My Creative Time! My nephew recently turned 13. He loves it when we give him an "experience" for a gift, so I made him a cute little treat box with some chocolate inside, with a note tucked beneath telling him what he'll be doing with us this year! I used my favorite Treat Slider Box Die and decorated it with one of the Stitched Large Balloon Dies. 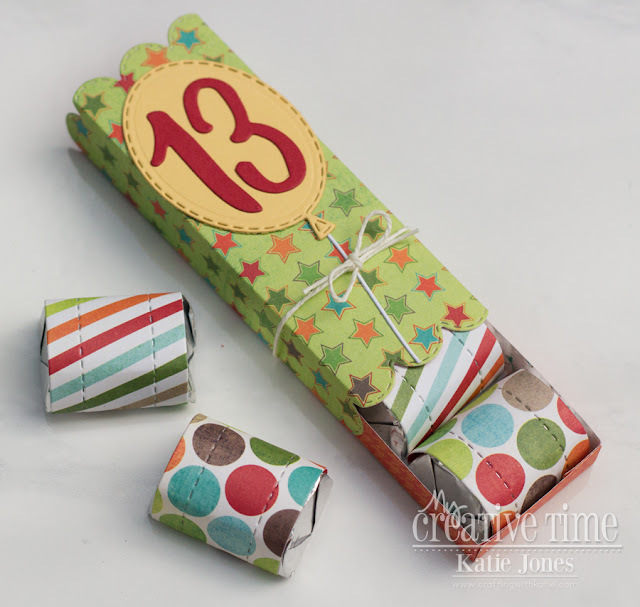 The balloon is the perfect size for the Pretty Bold Number Dies. I just love how the Treat Slider Box Die comes with 2 options of "wraps" that work perfectly with the Hershey's Nuggets! Be sure to stop by Emma's blog for some more 3D Wednesday inspiration! One of my students gave me a half dozen eggs from her chickens. What a fun gift! Good thing I had the perfect stamp and die sets to make a thank you card! On the Farm from Papertrey Ink was just right! MCT 90th Edition Release Blog Hop & Sale! Welcome to the My Creative Time 90th Edition Release Blog Hop! You should have arrived here from the very talented Jessica. If you just happened upon here, you might want to head over to Emma's blog, to the beginning of the hop. This is a very fun release, and I hope you are as excited about it as we are! 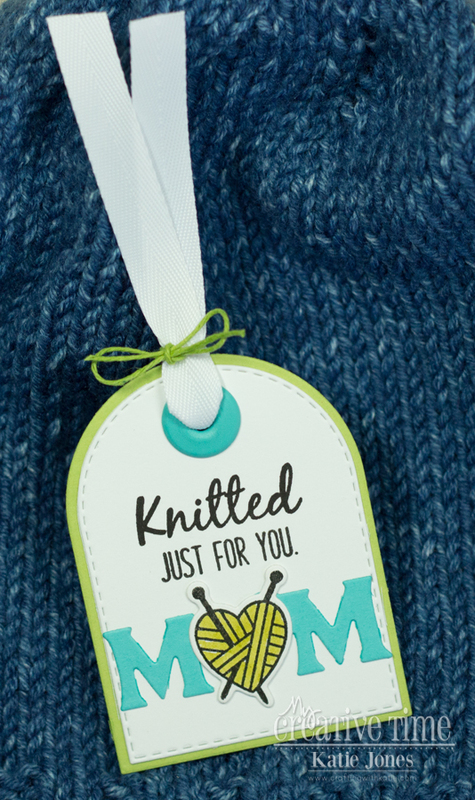 For my project today, I used one of the new Flower & Heart Mom Dies on a tag to go with a hand-knitted gift! This "mom" die has a heart in the center instead of an "o," and the yarn heart from Made with Love fits perfectly on top of it! I used sentiments also from Made with Love and put it altogether on the Just Tag Dies. Starting today... Friday, April 14, 2019, @ 8AM PST, we will be giving away these ADORABLE new Flower & Heart Mom Dies to the FIRST 25 shoppers! If you are one of the first 25 shoppers, it will be automatically added to your package at the time of packaging/shipping. Once 25 shoppers come through, the set will be available for purchase. So if it's for sale in the store, you are not one of the 25. No exceptions will be made. This freebie set is not a part of the "bundle" and will be sold separately! For our blog hop giveaway, Emma is giving away a $25 gift card to the "My Creative Time Store" to one LUCKY winner! All you have to do is leave your comments on our blogs! You are NOT required to comment on ALL blogs, but the more you comment on, the better chances you have for winning! Very important, please leave a way for us to contact you with your comment, just in case you are the lucky winner! Also, DON'T FORGET our sale that is starting RIGHT NOW here! Use the code APR2019 to receive a 15% discount off your entire purchase! This sale applies to "IN-STOCK" items ONLY. This sale will end on Friday, April 26, 2019. at midnight PST. It's the last day of My Creative Time's 90th Edition Sneak Peeks! We've got one last adorable new set for you, Flower & Heart Mom Dies. This set will be free with your order this Friday, April 19, 2019, if you are one of the first 25 shoppers, beginning at 8 AM PST. Once 25 shoppers come through, it will be available for purchase. I used the Flower Mom Die on my project today. 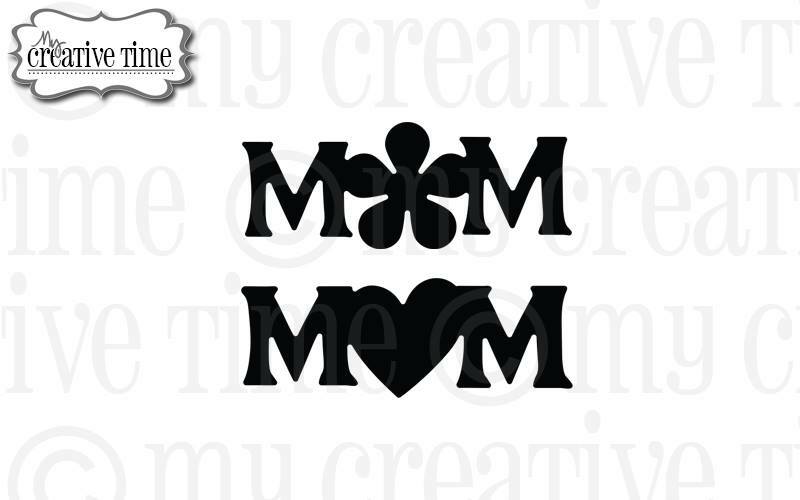 It's quite simple - it spells out "mom," but instead of an "o" in the middle, there is a flower. The other die in this set is very similar, but it has a heart in the center. All of the other flowers that I used on this card, and the circle center of the flowers are from the 2x2 Note Holder + Add Ons set that we showcased yesterday. 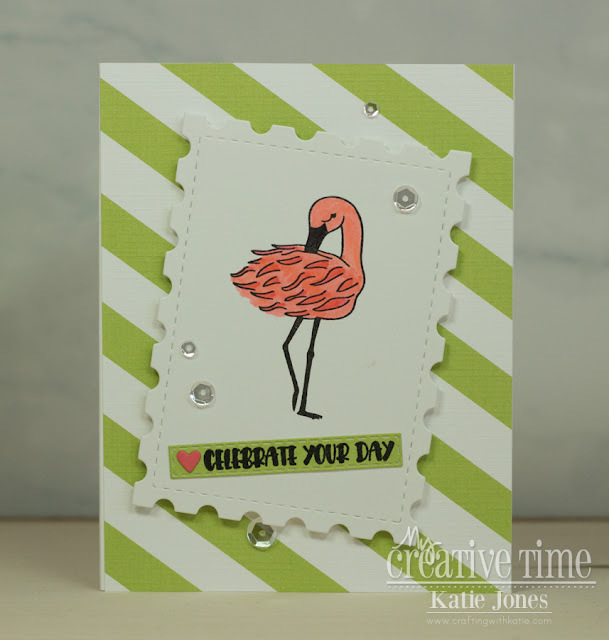 Are you ready for another day of the My Creative Time 90th Edition Release sneak peeks? 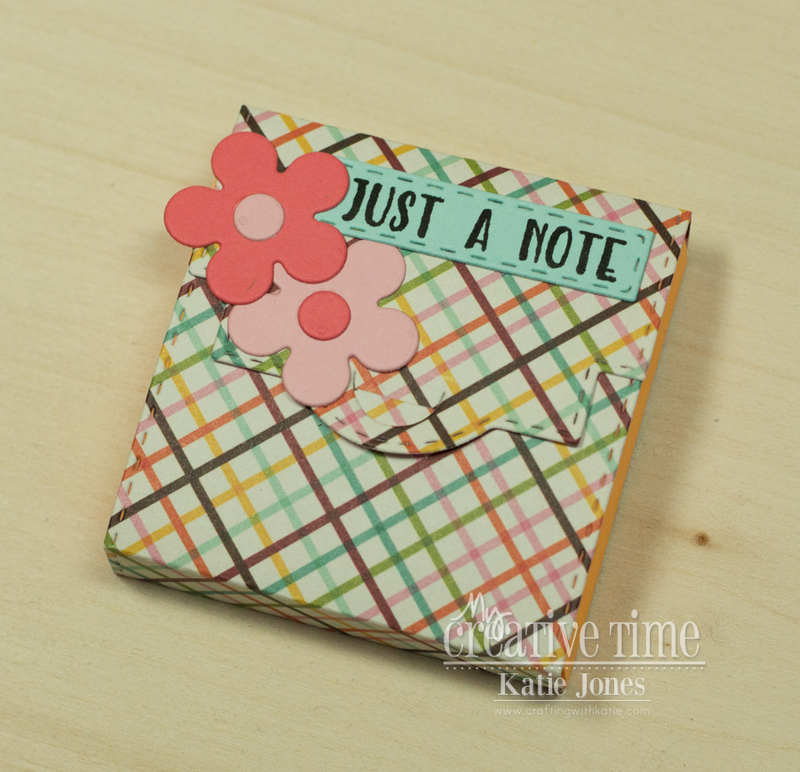 Today we have another awesome new set to share with you: 2x2 Note Holder + Add-Ons! This is the cutest little die set that allows you to make holders for the little 2" post-its! I just can't get over the cuteness of these! AND, they are so quick and easy to make! I chose some fun patterned paper and then decorated using some of the flower dies that are included in this set. There are also heart dies. I also added "Just a Note," from the A Beautiful Day set, and I stamped that onto one of the new Strip Sentiment Dies. 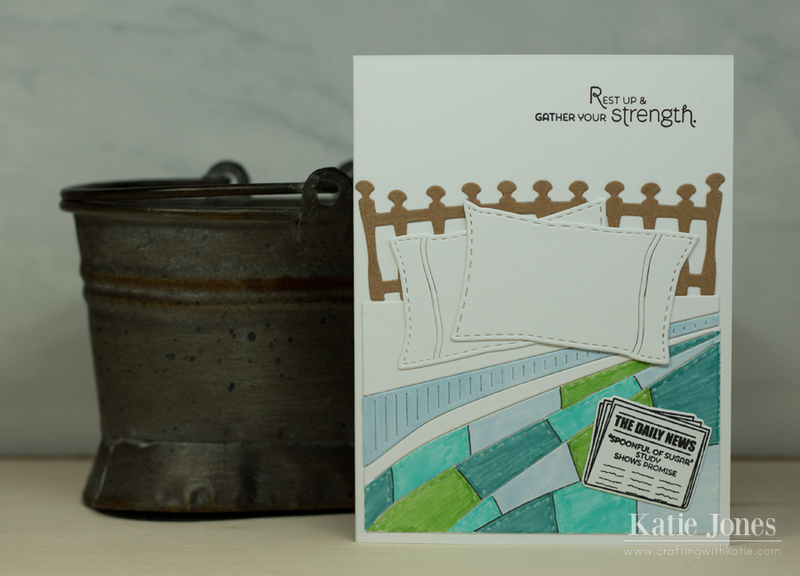 Are you ready for another day of the My Creative Time 90th Edition Release sneak peeks? 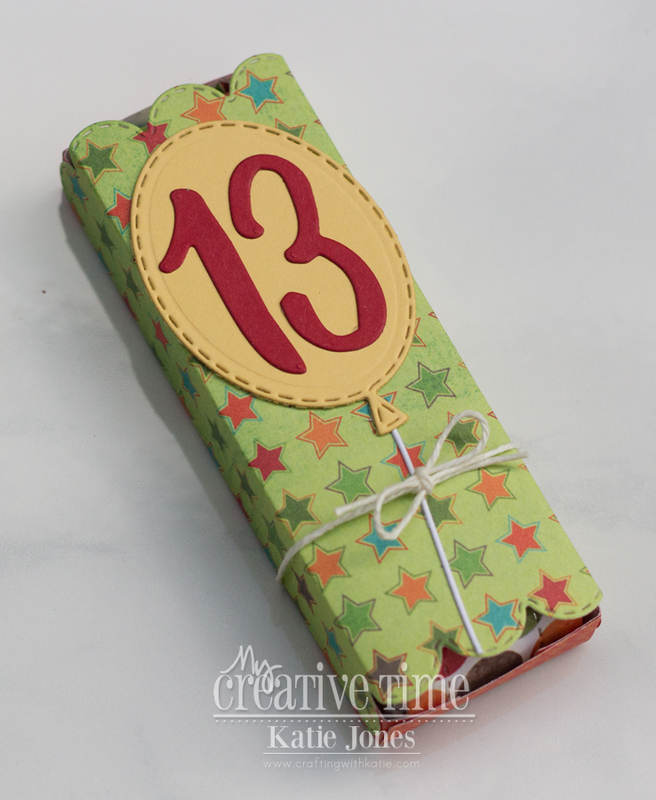 Today we have a fabulous new die to share with you: Zig Zag Background Die! This is such a fun die, and it really creates a unique background! I die cut it twice, once in a pale yellow, and once in a deeper yellow. This way I was actually able to make two card bases. This one has the pale yellow outside, and I replaced the inner pieces with the deeper yellow. I did the opposite on the other card. To decorate this card, I added some pretty poppies, made with stamps and dies from A Beautiful Day. 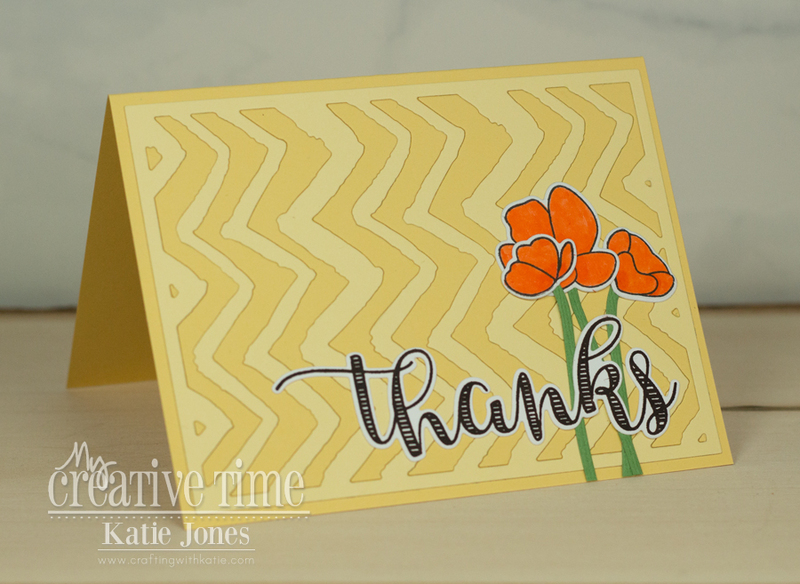 "Thanks" was made with a stamp and die from Fun Notes. It's day 1 of My Creative Time's 90th Edition Sneak Peeks! We have such a fun release for you this month! We are kicking it off with two fabulous new sets: Hello Gorgeous and Strip Sentiment Dies! Hello Gorgeous is a darling stamp and die set with two beautiful flamingo stamps, a crown and a party hat, and coordinating dies. It also contains twelve sentiments! Strip Sentiment Dies is a wonderful little die set containing 6 different length rectangular dies that work perfectly with the sentiments in Hello Gorgeous, as well as with sentiments in many other MCT sets. I used one of the Stitched Postage Frame Dies as a place to stamp one of the flamingos and then I colored it with my Zig Clean Color Real Brush Pens. I then added one of the sentiments, stamped onto one of those new sentiment strips. A little heart from my scrap bowl of die cuts and some sequins finished off this card! It's Gift Card Giving with My Creative Time! 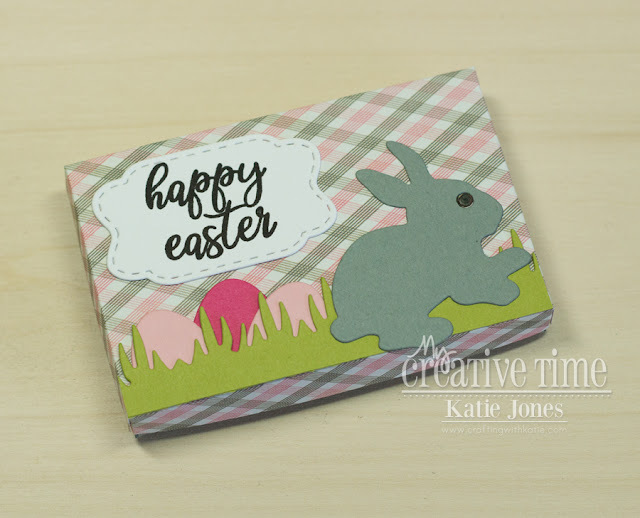 Easter is just around the corner, and we have so many cute new MCT Easter dies! 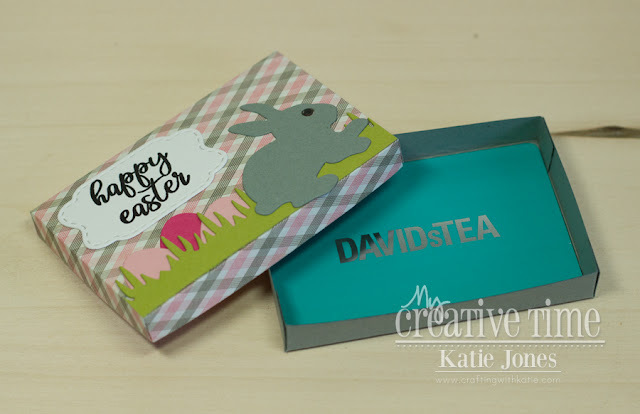 I used the bunny, eggs, and label from Basket Tag Dies to decorate my sweet little gift card box (made with the Gift Card Gift Box Die). 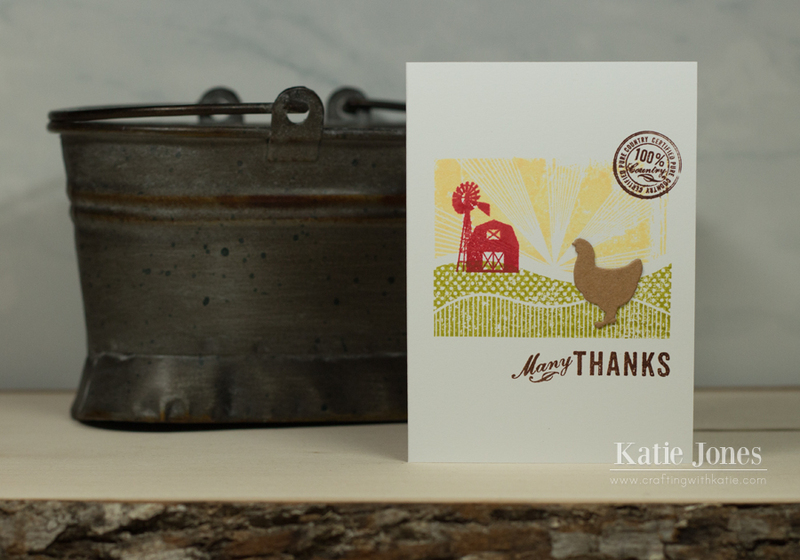 The grass was made with one of the Pretty Edge Dies, and the sentiment is from Basket Tag Sentiments! Be sure to stop by Emma's blog for more Gift Card Giving inspiration! One of my mom's friends took a tumble and is pretty banged up. I made this card to cheer her up. I just love the Take it Easy set from Papertrey Ink! 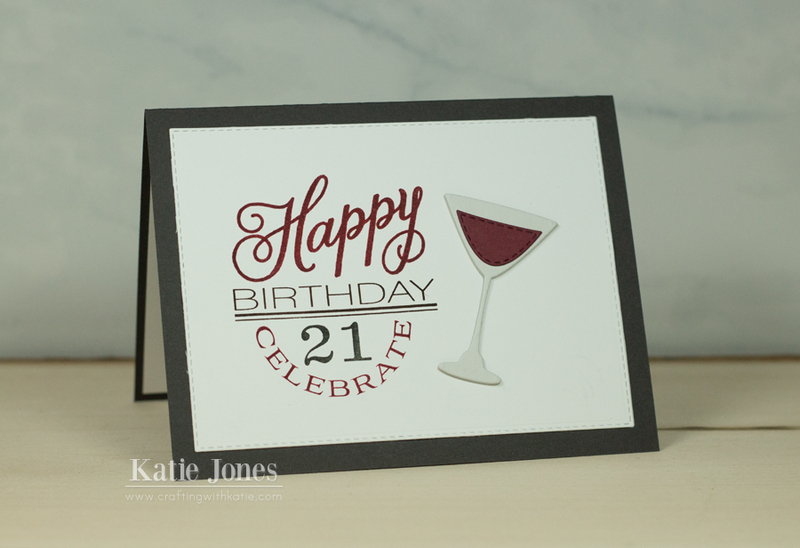 I "card lifted" this design from a card made by Nichole Heady. I loved the way she made a patchwork quilt! It's Birthday Palooza with My Creative Time! I just love the birds in the new A Friend Like You set. I colored one here with my Zig Clean Color Real Brush Pens and perched it on a branch made with one of the dies from this set, and I also added one of the sweet sentiments. In the background there are clouds made with the new Floating Cloud Dies. I put all of this in a little window made with one of the More Stitched Circle Dies. I trimmed my navy background piece with one of the Stitched Rectangular Frame Dies and embossed it with the Cuttlebug Dot Swirl Embossing Folder. On the inside of the card, I stamped a sentiment from Wow! So Many Candles. Be sure to stop by Emma's blog for more birthday inspiration!